This Sun Tracking Canopy looks so nice. 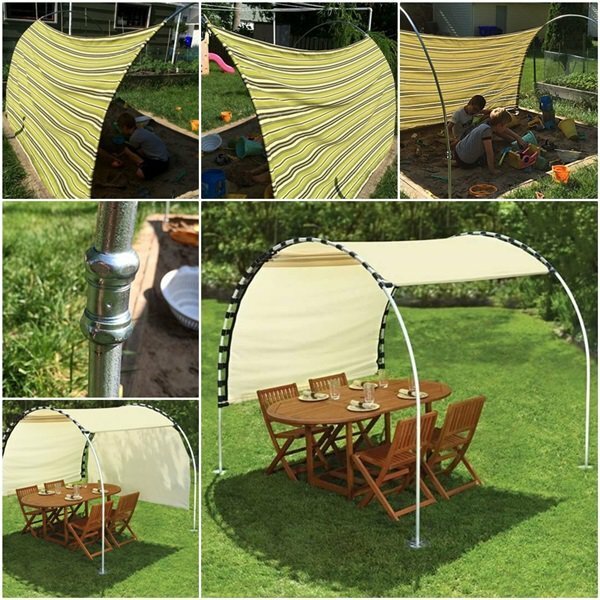 It is an adjustable canopy that provides respite from the sun any time of the day without requiring relocation. But unfortunately, this item is no longer available at Hammacher. 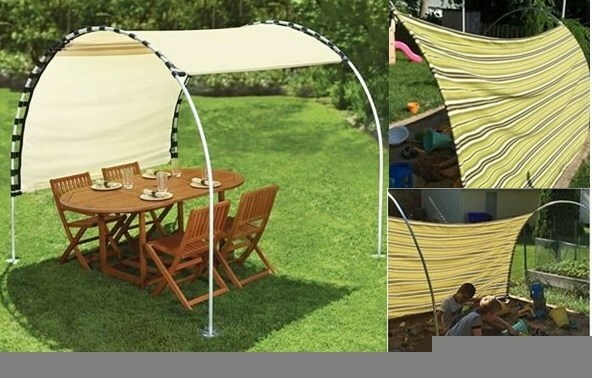 So I did some research and fount an idea which made a similar adjustable outdoor canopy. Hopefully it can shed some light on it if you want to make one as well. First we had to decide what would hold up the canopy. We compared and contrasted the pros and cons of metal electrical conduit vs plastic PVC pipe, then we debated the pros and cons of an arch vs a square shape. Finally we decided we really preferred the arch shape, and chose PVC pipe – rigid for the “legs” and flexible for the arch. We also bought connectors. The rigid and flexible PVC had different outer dimensions so we couldn’t find connectors that would work on both, but the flexible tubing was just a tad bigger so Teacher planned to sand the extra off with his Dremel tool.